Photograph: Courtesy Matthew Murphy On Your Feet! July embodies American independence. But what does it mean to be independent? Or American? Or, for that matter, human? And what does it take to be independent yet live in a nation, or just a house, with others? These five productions—encompassing old and new, musicals and plays, realistic and imaginary—reveal bits of what makes all of us tick, for better or worse. That’s why we’re betting these shows, listed in order of closing date, are worth your theatergoing time and money this month. 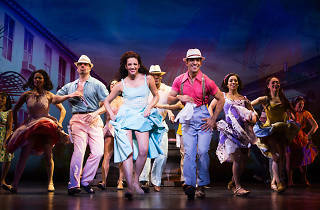 This jukebox musical’s title perfectly describes its true story of the husband-and-wife musicians, including Gloria’s childhood in Little Havana and the auto collision that nearly took her ability to walk. 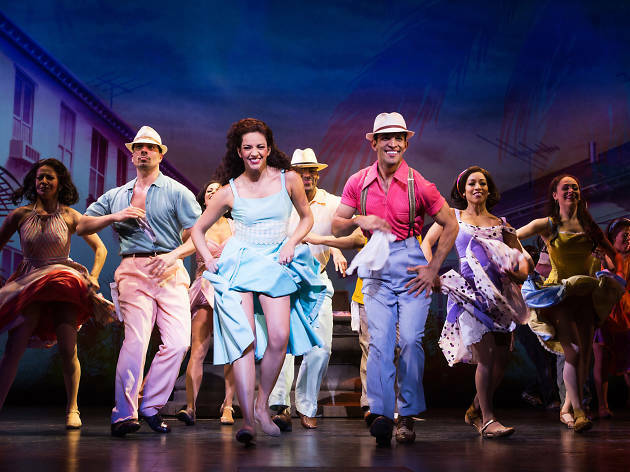 The book by Alexander Dinelaris frames the score built around the Estefans’ Cuban-fusion pop music that took Latin music mainstream in the U.S. The national tour, arriving for its L.A. premiere, stars Christie Prades as Gloria and Mauricio Martínez as Emilio. 6233 Hollywood Blvd, Hollywood (800-982-2787). Tue–Fri at 8pm; Sat at 2, 8pm; Sun at 1, 6:30pm. $35–$145. Summer theater is going to the dogs with this world premiere musical for animal lovers of all ages. Eddie, an outsider bullied all his life, finally feels at home with a job in an animal shelter. When the city tries to close it, how’ll he end up? On his paws feet, we hope. Tony Cookson unleashes his book, with 20 original songs by David O, Robb Curtis Brown and Cookson. Barking out the orders, Ryan Bergmann directs, while Ryan McCartan stars. 9820 Washington Blvd, Culver City (213-628-2772). Tue–Fri at 8pm; Sat at 2, 8pm; Sun at 1, 6:30 pm. $39–$59. Ivan Turgenev’s mid-19th-century play A Month in the Country inspired contemporary British playwright Patrick Marber to give the Russian’s views on crazy old love a modern look. The result: Love now looks crazier than ever. Andrew Paul directs two partnering casts, as is traditional for Antaeus Theatre Company, in this West Coast premiere that includes, among other fine actors, Dawn Didawick, Nike Doukas, Harry Groener, Gregory Itzin, Leo Marks and Armin Shimerman. 110 E Broadway, Glendale (818-506-1983). Fri, Sat at 8pm; Sun at 2pm; Mon at 8pm. $30–$34. In this modern-day adaptation of the 1945 film Brief Encounter, a deaf man and a hard-of-hearing woman—each married to different people—accidentally meet in a train station. This world premiere written by and directed by Stephen Sachs stars superb actors Troy Kotsur and Deanne Bray, who happen to be deaf and a husband-and-wife couple. The play is performed simultaneously in spoken English and American Sign Language with additional use of open captioning. 5060 Fountain Ave, Hollywood (323-663-1525). Sat at 8pm, Sun at 2pm, Mon at 8pm. $20–$40. Amanda Peet centers her play on a young tennis phenom, around whom swirl coaches, her single mother and her own changing mind and body. With nary a word getting heavy-handed, Peet challenges the audience to examine our views on the way we treat ourselves and others, as well as our thought processes as objective theatergoers. This world premiere, directed by Tyne Rafaeli, stars Mamie Gummer, Joe Tippett and Tyee Tilghman, with Abigail Dylan Harrison and Caroline Heffernan as the child and the teen, respectively. 6760 Lexington Ave (323-957-1884). Tue–Fri at 8pm; Sat at 3, 8pm; Sun at 2, 7pm. $35–$90 (students with ID $10).